Since 1994, Dr. Elizabeth Beadle has practiced both chiropractic and acupuncture. She earned her Master's Degree in Physiology and Nutrition and Diplomat in Acupuncture (NCCAOM) from the International Academy of Medical Acupuncture and earned her Bachelor's Degree in Life Sciences at Queen's University in Kingston, Ontario. Dr. Beadle also earned a Master's Degree in Applied Physiology at Columbia University in New York City and attended the National College of Chiropractic in Chicago. After graduating from college, Dr. Beadle taught Cardiovascular and Pulmonary Physiology and practiced chiropractic at a local medical group. Dr. Beadle also practiced at the American Holistic Center and interned with orthopedists and psychiatrists in Chicago. 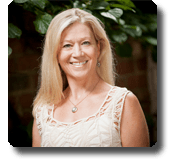 Dr. Beadle opened her own practice with a partner at Rutherford College in North Carolina before opening the Foothills Chiropractic of Hickory in 1999.